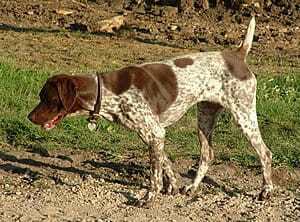 Piper is the classiest German Shorthaired Pointer. She carries herself with a style that is rare in the breed. She has all of the best traits of the premier hunting dog: drive, nose, train-ability. Piper has the skill and versatility to be hunted by a pro trainer or the average hunter and provide them with an exceptional experience. Her perfect confirmation and unsurpassed pedigree make Piper an irreplaceable member of our breeding stock.